It seemed like an itch that went around the group. 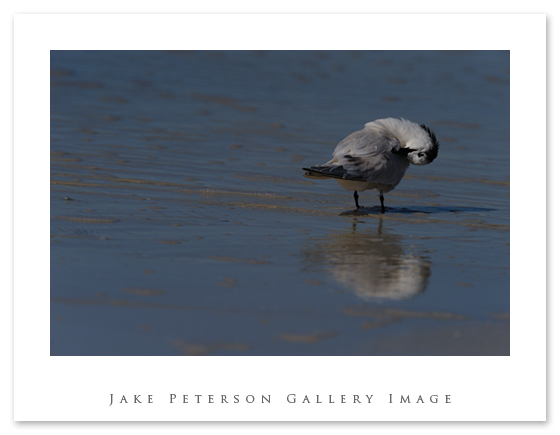 All of the terns and gulls we were working with started cleaning themselves. Don’t know why it seemed unusual to see them bathing in salt water but it kind of was. Anyways the intense cleaning made for some more entertaining shots. 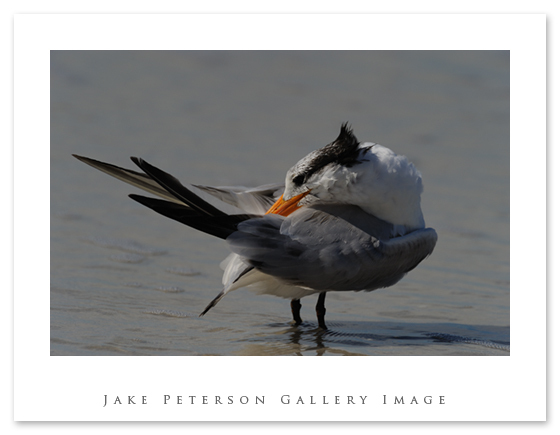 My personal favorites came from this Royal Tern who kept putting a feather in his beak and would run the feather through getting what would appear to be dry. He did this several times with his primaries and tail feathers. Maybe it’s just me but again it’s about that orange bill. It just stands so far out compared to the bird itself and the water he’s standing in. Just like the Oystercatchers. Then there is this fellow. He was at the far end of the group we were working, which kind of annoyed me because i wanted to get closer on him but couldnt without flushing everyone else. 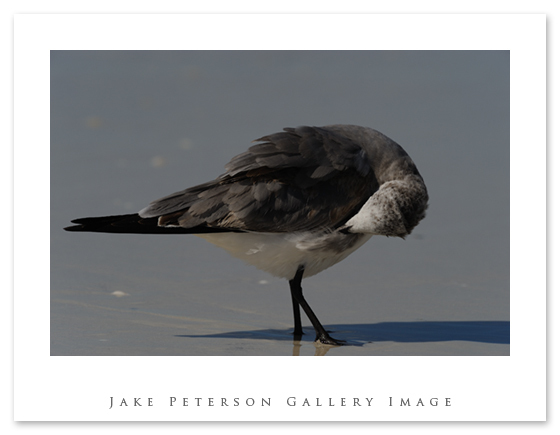 This good looking Laughing Gull was cleaning himself out in the surf, he kept puffing up and shaking off. That wasn’t however, what caught my attention. It was the reflection he was creating in the water that i liked. Almost like having a second gull present.